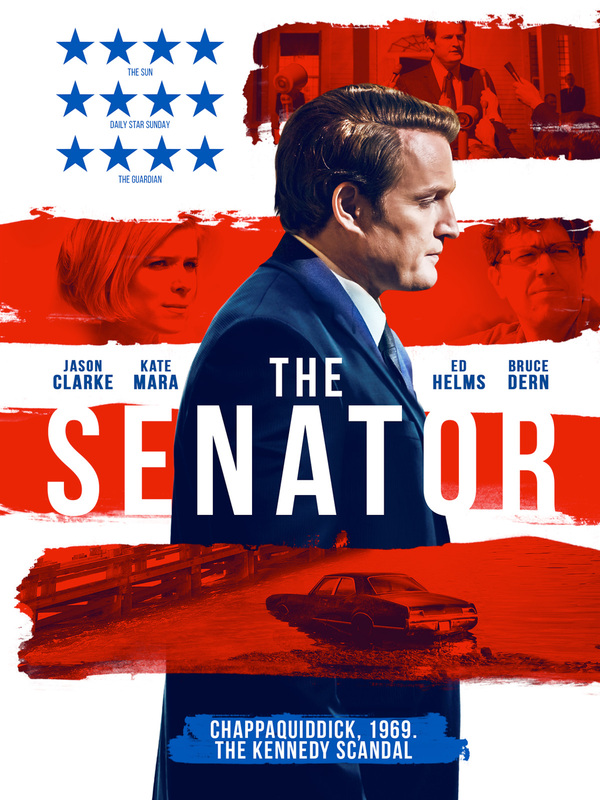 Jason Clarke leads the political thriller THE SENATOR which tells the story of Ted Kennedy's darkest hour. Inspired by true events, the curse of family legacy and a web of lies take hold of a tragedy set to change both the influential Kennedy dynasty, and US history, forever. While his brothers like President John F. Kennedy are no strangers to film, the first dramatic retelling of Ted Kennedy’s darkest hour has been a long time coming. Rejecting Hollywood sensationalism in favour of a chilling sobriety, John Curran’s enthralling tale of political zeitgeist and the man caught in its shadow will ensure this chapter won’t just be left to the history books. THE SENATOR is directed by John Curran and stars Jason Clarke, Ed Helms, Jim Gaffigan, Kate Mara and Bruce Dern. Signature Entertainment will release THE SENATOR on Digital HD 13th August and DVD 20th August.